Treaty tribes in western Washington are concerned that Gov. 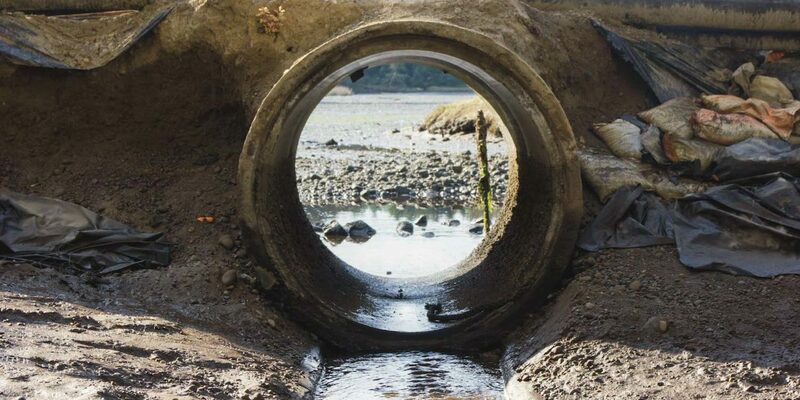 Jay Inslee’s two-year $54 billion budget now before the state Legislature will not adequately fund culvert replacement. We are thankful, however, that the governor’s proposal fixes a $2.5 million shortfall that threatens the region’s shellfish industry and tribal treaty rights. Tribes applaud the $1 billion proposed for recovery of southern resident killer whales and a budget increase of $275 million per biennium to correct fish-blocking culverts. The culvert replacement is part of a U.S. Supreme Court ruling in June that requires the state to protect salmon habitat so that fish are available for tribes to harvest under terms of treaties with the federal government. By 2030, the state must replace failing culverts that have the greatest impact on salmon. Unfortunately, the governor’s proposed budget, including the increased culvert spending, relies upon a proposed new revenue package that includes a real estate excise tax, and increased business and occupational taxes. According to the Washington State Department of Transportation, it will take more than $700 million over several budget cycles to meet the court’s deadline. That means the Legislature will have to do even more heavy lifting in the next two-year budget to get the state on track to meet the court’s timeline. Although $275 million per biennium might sound like a lot, it’s not enough. An underfunded budget just kicks the can down the road for future governors and legislators, making it more difficult to meet the court’s requirements and slowing salmon recovery. Fortunately, the governor’s proposed budget addresses ongoing funding shortfalls for the state Department of Fish and Wildlife (WDFW), which if left unfixed could greatly impact the shellfish industry and tribal treaty-reserved harvest rights. A $2.5 million shortfall in the WDFW budget threatens a $270 million shellfish industry that supports more than 3,200 jobs. It also costs us seven enforcement officers who conduct more than 4,700 patrols annually to ensure sanitary harvest and sales of shellfish. Since 2011, the state has been implementing the Washington Shellfish Initiative, a partnership between the state and federal government, tribes, shellfish industry and non-government organizations to promote clean-water commerce and elevate the role that shellfish play in keeping marine waters healthy and creating jobs. Washington was the first state to establish an initiative to advance its shellfish goals. But poachers harvest shellfish throughout Puget Sound without concern for private property, toxins or the ability of shellfish populations to support harvest. When they sell their illegal harvest, they damage the reputation of Washington’s shellfish industry, undermine industry economics, and risk the lives and health of consumers. Inadequate funding for WDFW threatens to interfere with the state’s ability to enforce federal regulations such as the National Shellfish Sanitation Program. Without a budget fix, after June 30 WDFW may no longer be able to collaborate with the state Department of Health to continue patrols and enforce shellfish regulations to protect human health. Without those patrols, shellfish can’t be sold in the United States or exported. Given the ongoing assault on water quality, salmon habitat and the entire ecosystem in western Washington, now is not the time to be dialing back protection and restoration of our natural resources. Only about 1 percent of our state’s budget is spent on natural resources annually. We can’t afford any less.